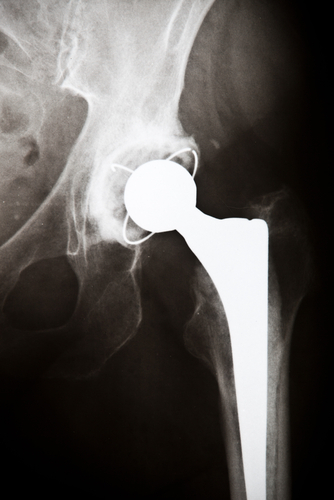 Zimmer femoral hip implants have just been recalled by the FDA. Our Portland personal injury attorney takes a look at why and explains what you should know about this recall. The reason that the FDA is taking such aggressive action to take these devices off of the U.S. market is that they reportedly have higher than expected amounts of manufacturing residues left on them. According to Zimmer, it discovered this issue when a “process monitoring failure” came to light. Those who develop such complications will likely need revision surgery to remove the implant. Zimmer has reported that, to date, it has not received any reports that patients have been injured as a result of these recalled devices. Nevertheless, the FDA is encouraging physicians and the general public to report any problems they experience with these devices. The recalled devices, which would have been implanted during a hip replacement surgery, may have been used in conjunction with other devices. A complete list of the lot numbers impacted by this recall can be viewed here. Distributors and hospitals were reportedly notified about this recall on May 18, 2015. These parties are reportedly quarantining and inventorying the recalled hip implants to prepare them to send back to Zimmer. Have you been injured by a faulty or defective medical device? If so, you can rely on an experienced Portland personal injury attorney at the Savage Law Firm for experienced help and aggressive legal advocacy. For more than three decades, our lawyers have been devoted to providing each of our clients with personal attention, respect and the highest quality legal services. We realize how devastating a personal injury can be on a physical, as well as a psychological and financial, level, and our lawyers are here to aggressively defend injured people’s rights to both justice and compensation. While this means that our Portland lawyers will work diligently to help our clients tell their stories in court, it also means that our attorneys and dedicated staff will vigorously stand up to insurers and others outside of the courtroom to ensure that our clients are able to obtain the settlements they deserve.